For East Street Arts meeting, dialogue, the process of realising an idea with others is the most exciting element of our work. However, collaboration needs time, patience as well as mutual trust and belief in the project we are all part of. 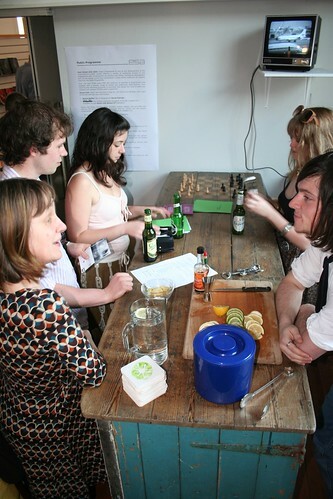 Social Club as a curatorial approach has been developed over the years to give East Street Arts an opportunity to enter into collaborative relationship with artists and other practitioners over a period of time to realise a series of social events connected by a central theme. Social Club is approaching curating as a process, where partners enter into a mutual and equal relationship and where the final outcome is influenced by the continuous dialogue between collaborators. 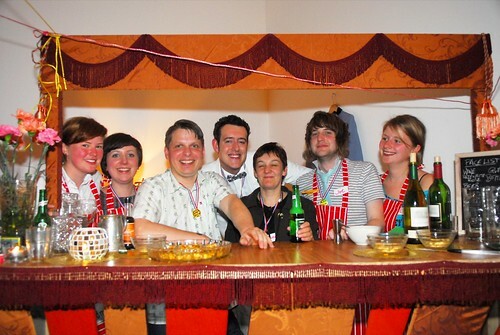 Social Club has been developed from the history and legacy of Patrick Studios (a former social club) and East Street Arts’ interest in community venues’ capacity to integrate social, creative and political environment. Social Club as a curatorial idea provides platform for artists as well as publics to explore collaborative processes, participatory work and events-based projects that relate to social and political realities, history and politics. 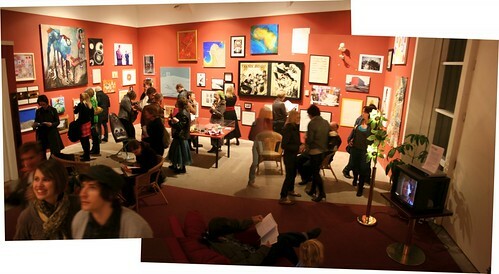 Journey – Social Club 2 was a contemporary art event that opened up East Street Art’s Patrick and Beaver Studios giving audiences the opportunity to navigate the buildings to engage in artists’ work and participate in the launch of new activities and the culmination of past projects. Programme included the launch of ESA Associate membership, Socialist Jukebox and Digital Lounge and our first Social Club publication with commissioned work by Laura Tait exploring socially engaged art. Multitude – Social Club 3 invited artists, writers and audiences to explore our relationship to objects and the emotions that connect us to our future heritage through a variety of socially engaged art events, exhibitions, artist commissions and residencies. Multitude investigated 21st Century Britain’s consumerist society and our relationship to collecting. From scientific and anthropological collections in museums to investment collections of contemporary art to sentimental hoarding of objects to keeping things because you can, collecting is often regarded as a malady, a madness that makes humans, human. Multitude connected to projects running at the same time in Leeds such as the Eclection exhibition at artist-run space theartmarket, talk series Questions of Collecting at The University of Leeds’ Audrey & Stanley Burton Gallery, Axis’ new selling show Future50 at PSL [Project Space Leeds] and the Negotiated Meaning exhibition at Artemis. UNITED – Social Club 4 brought together a collection of creative happenings. Using contemporary arts practitioners as a starting point, ESA explored how collective and collaborative events could take shape to express and share ideas. With references to workers unions and other representative bodies, UNITED examined how the professional field of art operates without formal structures, resulting in a supportive and independent series of events that reflected the artist-driven sector and the many facets of social networks. UNITED sought to investigate the development and changes of the artist-driven movement of past decades in contrast with social networking and the use of new technologies that now enable everyone to be an active and creative participant. 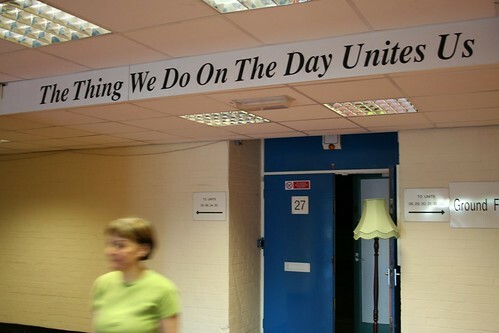 UNITED started on the 1st May 2009, Labour Day, and was what you made it: a political protest, a contemporary art event, a social gathering.